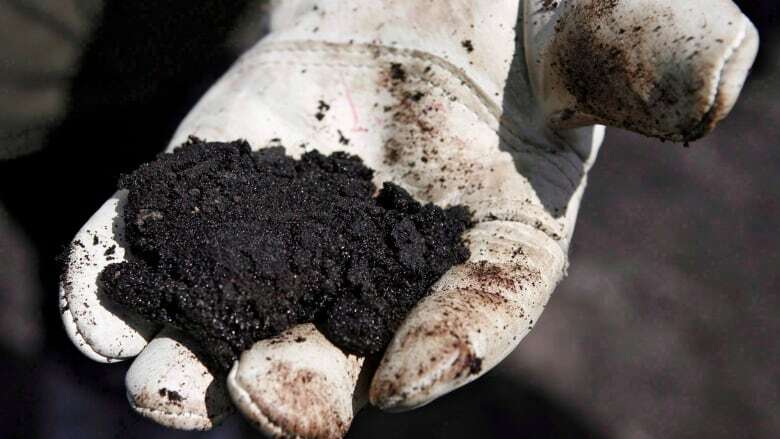 The bargain price for bitumen these days is a 'reality check' for the oil industry to research new products that could be made from the oilsands. A sharp drop in the price of Western Canadian oil has many in the industry looking for solutions. New export pipelines and more space on the railways would help alleviate the backlog of oil in Alberta, but some researchers are focusing on a long term fix to achieve better prices, as well as create jobs and lower the impact of oilsands production on the environment. Next month, Alberta Innovates will award $2 million in funding to several research projects that focus on turning bitumen into products other than gas, diesel and other fuels. Originally, those product ideas included fertilizer and adhesives, but the list has been narrowed down to four areas with the most potential for big impact. The products are asphalt, vanadium batteries, plastics and carbon fibre. Some of that research is already underway in the province. The products are several years away from commercial readiness, but researchers say the low price of Alberta oil has added urgency to the quest to find new uses for bitumen. Limited export pipeline space and a series of refinery maintenance shutdowns have created a backlog of oil in Western Canada and sent prices spiralling downward. Prices have fallen below $25 US per barrel of heavy oil in Alberta, while south of the border oil is selling for around $70. "Right now 90 per cent of the bitumen produced in Alberta ultimately goes to combustion products like diesel, gasoline and other fuels. Only 10 per cent goes to solid, so we're trying to look at changing that product mix. To do that, we need to consider some radically different products," said Bryan Helfenbaum, with Alberta Innovates. Helfenbaum said he's most excited about the potential of carbon fibre — a light weight material that's stronger than steel. It's used by the aerospace industry and in high-performance sports equipment. There's already global demand for carbon fibre, and if researchers can create a low-cost feedstock from bitumen, demand could grow rapidly, he said. One of the criticisms of oilsands development is about the high carbon intensity of the oil it produces. 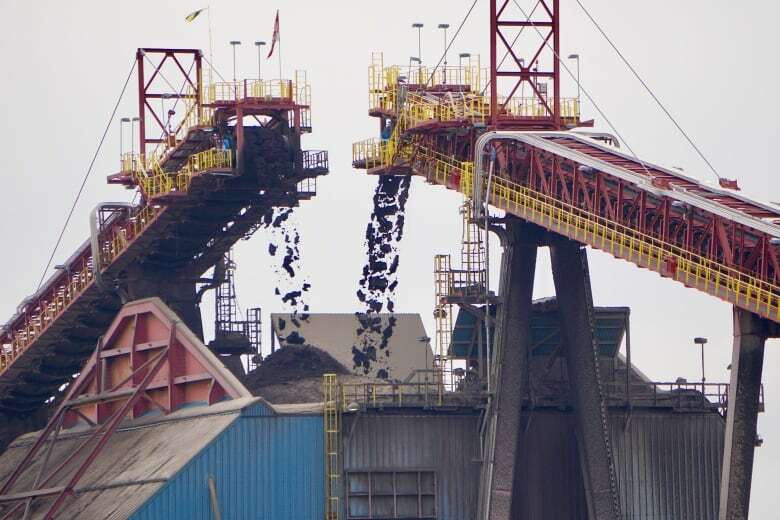 Some companies have even decided not to use the lowest quality bitumen, considered the bottom of the barrel, since it requires more energy to process. But for researchers looking to use bitumen for products other than fuels, the high carbon content is a positive, not a negative. "We need to re-think a little bit how we think about carbon," said Helfenbaum. "Carbon is a bit of a bad word in its gaseous form, but in solid form, carbon is building materials that we use everyday." The projects that will receive funding must have the potential to scale up to process at least 100,000 barrels of bitumen a day, so they can achieve significant job creation and help diversify the economy. Helfenbaum said there should also be a reduction in greenhouse gases since around 80 per cent of emissions associated with oil come from its combustion. Alberta already has thousands of engineers within industry and post-secondary institutions who have worked with bitumen for decades, Helfenbaum said. These projects all require several years of research and development, but industry is on board. "They get it, they see it. The challenge is it's very long term. Companies try really hard to look long term, but unfortunately they are measured quarter to quarter and they struggle to devote significant resources to look at some of these concepts," he said. At current heavy oil prices, some companies are struggling to break even. The oil industry is losing more than $100 million a day in potential revenue, according to one estimate. "We're not getting anywhere near what we need to make this business sustainable," said Gerald Bruce, a Calgary-based chemical engineer with more than 35 years of experience in refining and bitumen processing. "It's just a reality check on what kind of business are we in?" he said. "What does the industry have to do to re-invent itself to move forward?" That's why Bruce says the industry must look at non-combustion options for bitumen as the industry of the future. In addition, these new product ideas could ensure all of the bitumen pulled from the ground will be used. "I certainly have a strong belief that the resource is there to be utilized," said Bruce, who is also president of GWB Process Consulting. "Ultimately, you're not really efficiently using the resource if you don't use it all."